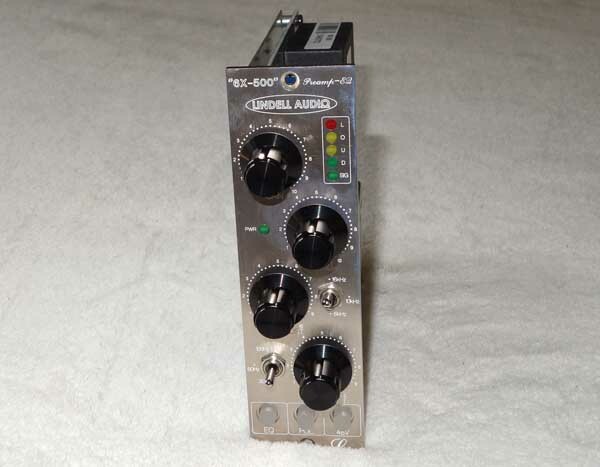 Classic Mic Pre + 2-Band EQ in 500-Series!!! 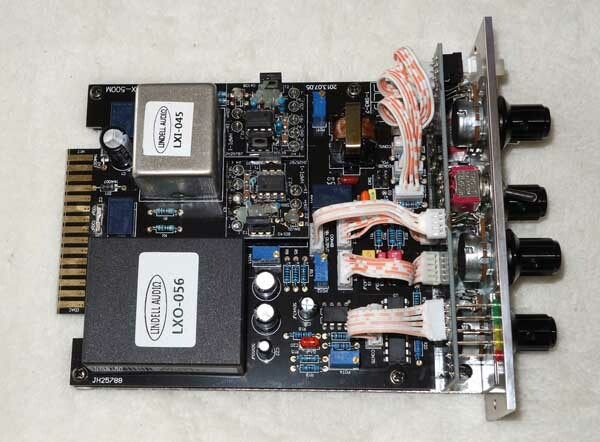 Up for consideration is a brand new Lindell Audio 6x-500 -- a 65 dB, Dual 990 opamp-powered, all-descrete preamp, along with 2x Pultec-style boosting EQs, for API 500-Series racks -- a modern recreation of the classic console preamp along with a couple of classic EQs, inspired by the vintage Pultec. This is a great sounding Pre/EQ combo that can be used for bass, drums, or adding silk and presensce to vocals, w/o any harshness. 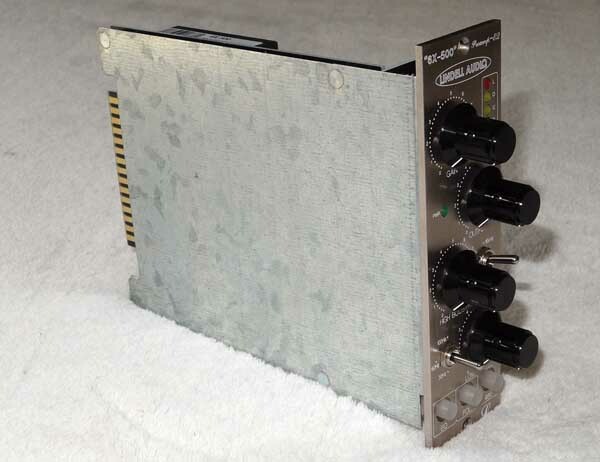 These 6X-500 Pre/EQs are surprisingly affordable at only $329 each, so here is a great way to own a professional-sounding preamp, containing a couple of nice Pultec-style, boosting EQs in a small, 1-space footprint, at a very reasonable cost!!! CLICK HERE for additional 1270 DPI Hi-Res photos of the 6X-500, and HERE is some additional product info from the Lindell website, HERE is the 6X-500 User's Manual, and RECALL SHEET, and here are some Magazine + end user reviews: [ 1 | 2 | 3 | 4 | 5 ]. 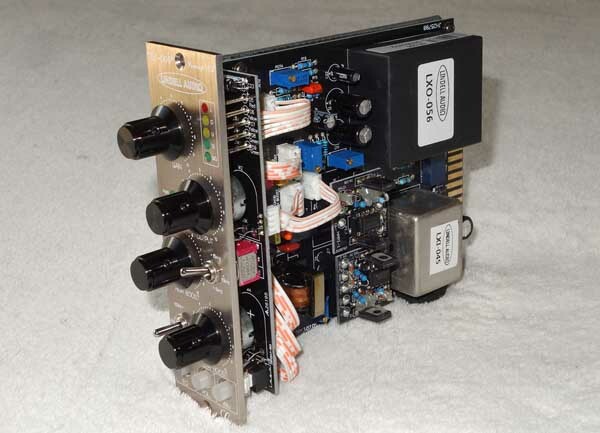 6X-500's have a classic 990 opamp character that imparts a smoothness and natural musicality to your tracks. It is not as colored or pillowy as a Neve, and also not as gritty as an API, but it resides somewhere in the middle. 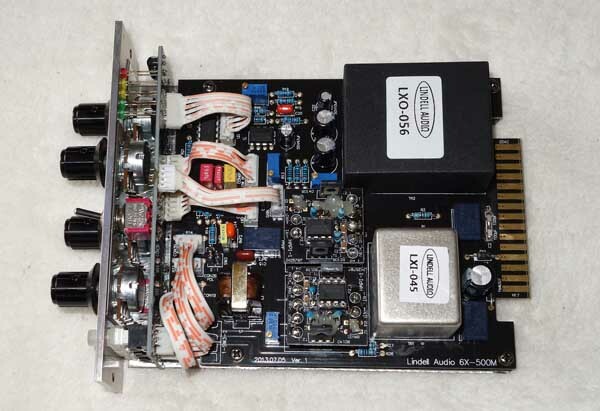 It offers the modern, up-to-date technology focused on a pair of the dual 990 Opamp preamp, along with switchable Hi/Low boosting Pultec-style inductor EQs from the 60s, giving your sound a warmth and sheen at a small fraction of the cost of separate + EQ units. USA shipping is Free via USPS Priority. Satisfaction Guaranteed, buyer pays shipping, so please ask questions first. 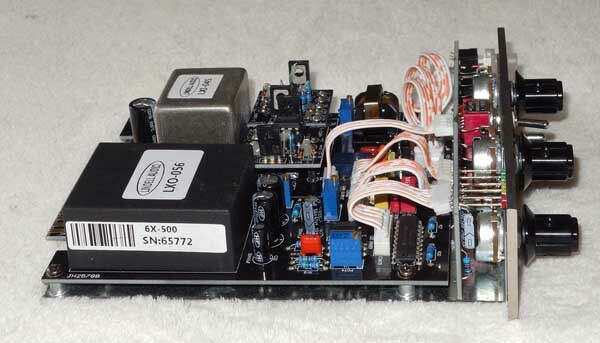 This auction is for a single Lindell 6X-500 mic pre / 2-Band inductor boosting EQ for the API 500-Sreies. No other accessories are included.